Birthday Card // Cute Birthday Card // Happy Birthday // Party Card // Let's get this Party Kraken! 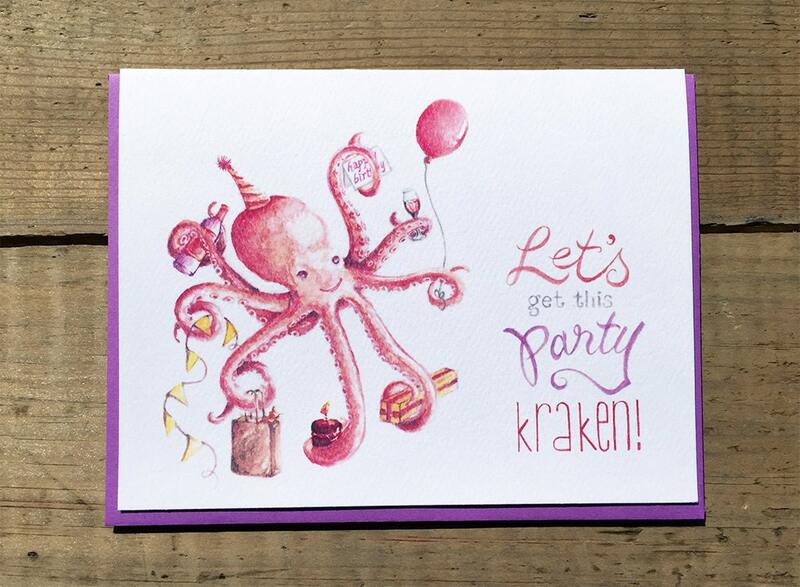 This card is the perfect way to send your birthday wishes to friends and family! - Choice of purple / pink / red color from Ashley Announcements.